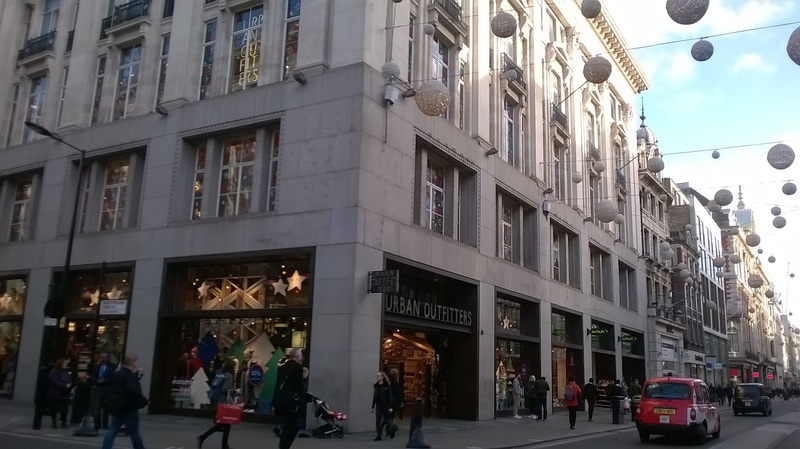 The hundreds of shoppers who daily pass by Urban Outfitters and Schuh on London's Oxford Street will be unaware that the building above them played a part in Britain's wartime broadcasting effort. 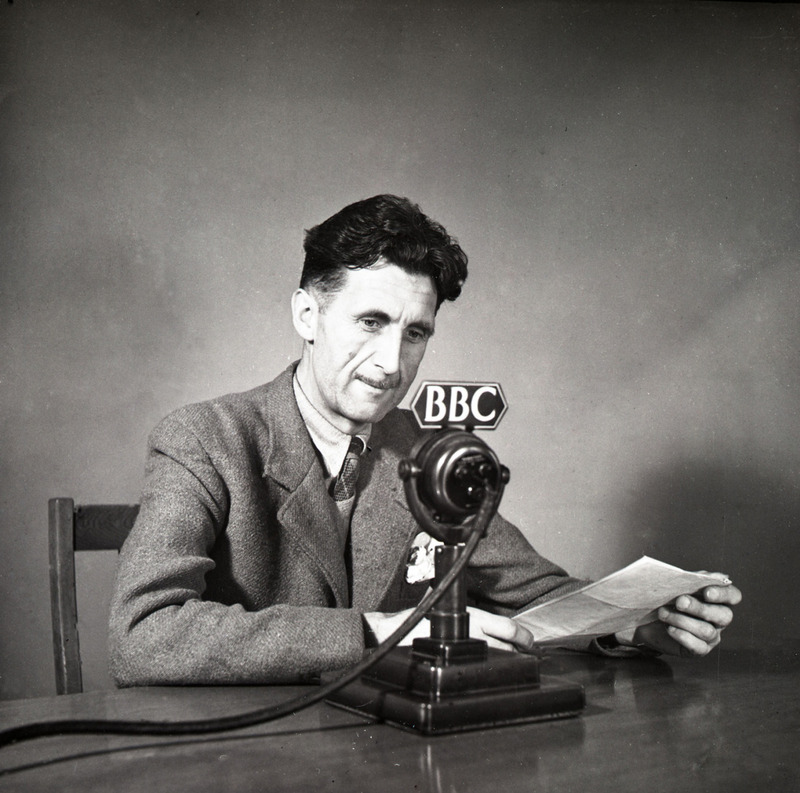 Yet it was the place where George Orwell broadcast to India and Ed Murrow to the States. It was where John Arlott started his career as a radio producer, at one point working alongside a young David Jacobs. And it was where a girl in the typing pool called Jean Metcalfe got her first opportunity to be in front of the microphone. Behind 200 Oxford Street cut through Great Portland Street and then take a right down Market Place and there's a clue for those that spot the plaque on the wall just next to the entrance of what is now known as Orwell Studios. 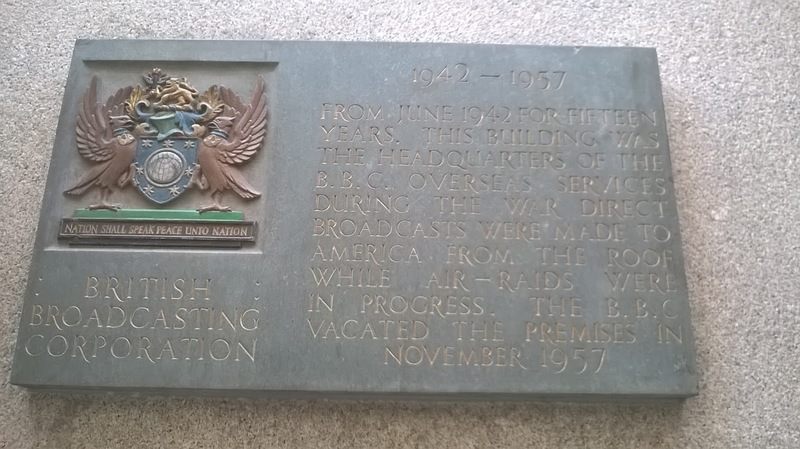 It reads: "From June 1942 for fifteen years, this building was the headquarters of the BBC Overseas Services. During the war direct broadcasts were made to America from the roof while air-raids were in progress, The BBC vacated the premises in November 1957". In the early days of the Second World War the BBC was asked by the Government to treble its output abroad so increasing the scale of both its Overseas and European Services, then based at Broadcasting House. Also for security reasons some departments were being re-located, hence the move out to Wood Norton in Worcestershire for the likes of the drama staff. During 1940 the various parts of the BBC's Empire Service found itself split up over three sites. Most of what would be the European Services was shifted to Bush House - after having first being evacuated to Maida Vale - others were billeted to Aldenham House in Hertfordshire and Abbey Manor near Evesham. In June1941 BBC engineers indentified the basement of what was then the Peter Robinson department store, just round the corner from Broadcasting House in Oxford Street, as suitable for wartime studios. A surprising decision perhaps as the store had been ravaged by bombing in September 1940 - Broadcasting House itself was hit the following month. Anyway the menswear department moved out of the basement and the BBC moved in to build the nine (later thirteen) studios and a control room. Some office accommodation was then added to the floors above and from June 1942 staff from both Aldenham House and Abbey Manor moved in. In fact, as the plaque in Market Place attests, this wasn't the building's first association with broadcasting. During those famous Ed Murrow rooftops descriptions of London throughout the Blitz, the US correspondent had used the top of 200 Oxford Street as one of his vantage points, though he never revealed this at the time. 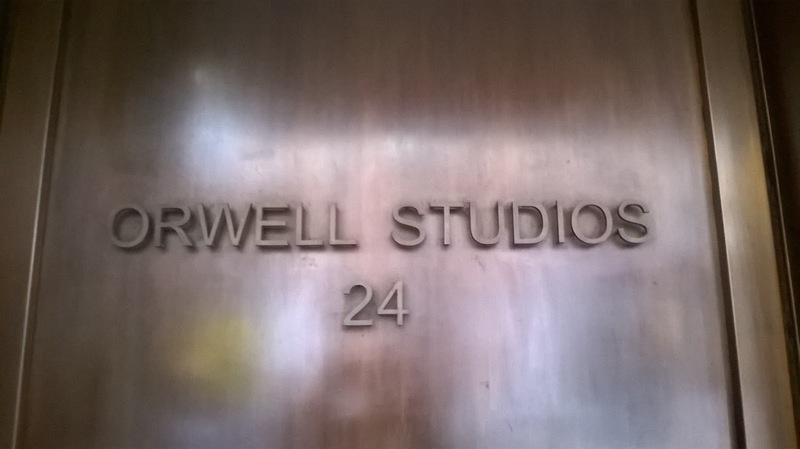 Although the upper floors of the building are now named after George Orwell, his time at the BBC as an Eastern Services producer and broadcaster were described by the novelist as "two wasted years." His diary reflects that "much of the stuff that goes out from the BBC is just shot into the stratosphere, not listened to by anybody". Staff at 200 Oxford Street would jokingly refer to the building as the ZOO. The studios themselves were perhaps not best placed for noise pollution from the nearest tube line. Edward Pawley's history of BBC Engineering explains: "Just as the noise from the Bakerloo Tube could be heard in the basement studios of Broadcasting House when it was opened in 1932, the noise of the underground trains on the Central London Line could be heard in some of the studios at 200 Oxford Street, which were about 50 ft below ground level. It was, in fact, possible to distinguish the arrival and departure of the trains, and the opening and closing of their doors. One of the many overseas visitors who came to visit Bush House after the war claimed that he had been able to identify a particular studio when listening 5000 miles away by the sound of the underground trains — and he was right." Before her time presenting Forces Favourites (later Family Favourites) Jean Metcalfe had joined the BBC's General Office in the summer of 1940. She soon moved across to the Empire Service to help deal with the fan mail that came in for the announcers. Jean takes up the story of how she got her break into broadcasting: "the Service was expanding with the need to keep overseas territories in touch with London and soon we were moved from our makeshift office in the Restaurant Annexe of Broadcasting House, with its food smells and plasterboard partitions, to 200 Oxford Street, the old Peter Robinson building. Now there were dozens of us working twenty-four hours a day on the Overseas Service. My work became more clerical than secretarial, thank God, and even brought me glimpses of the studios below grounds. One joyous day, May 24th 1941, Noel Iliff asked me to read Thomas Nashe's poem Spring, the sweet Spring in a programme he was producing, Books and People at 1500 GMT. The refrain 'Cuckoo, jug-jug, pu-we, to witta-woo' would sound silly, he said, in the deep voice of the presenter, the novelist Gerald Bullet. It sounded pretty silly in mine too, I thought. However, it didn't matter if only a handful of homesick Kenyan planters would hear me, I was on the wireless - at last." BBC producer Trevor Hill was one of the BBC staff, at that time a Programme Engineer, who made the move round the corner to Oxford Street where he worked on Radio Newsreel and many other programmes: "My job, when I started work at 200 Oxford Street in the Continuity Studios, was to play music on gramophone records besides complete programmes recorded by the BBC on seventeen-inch 'slow speed' discs. That was in the days before microgrooves had been invented. The BBC slow speed records would have things like Front Line Family recorded on them. Then there was the Epilogue. On a particular Sunday evening when I was working in the Continuity Studio for the Pacific Service I had a very nice Australian announcer on duty with me, Isabel Ann Shead. The trusting Ann turned to me and asked what was next on that day's Routine Transmission Schedule. I consulted the document. 'Oh, it's the old E-pill-o-gog,' I replied facetiously. Miss Shead went into action. 'This is the Pacific Service of the BBC.' We were allowed the slightest reverential pause for such a Sunday transmission. 'The E-pill-o-gog!' declared the good lady for all to hear." David Jacobs was briefly based at 200 Oxford Street after the war when he joined the BBC as an announcer in a team that included Jack de Manio, Jean Metcalfe and Mary Malcolm. His recollection of his time there seems to be full of japes: "for instance during a band show at Hammersmith Palais de Danse, where I was sharing announcing duties with Mary Malcolm, Mary turned to me before one number and said 'I can't think of anything, David - what shall I say?' 'Oh, say the next tune reminds you of the film Sweater Girl,' I told her. Mary had not time to sort this out. She trustingly stepped up to the microphone and announced to a large section of the English-speaking world: 'The next number always reminds me of the film Sweater Girl. ladies and gentlemen, The Jersey Bounce!' And her horrified 'Oh, David, you're dreadful!' also went winging out on the waves before she stepped back again." But it wasn't all high jinks for David. For a while he was also one of the readers on Book of Verse, produced by a recent recruit to the BBC staff, one John Arlott. David recalls:"One of the things John taught me was how to get a story told in thirty seconds or a minute with a beginning, a middle and an end. he had me looking out of the window of his room overlooking Oxford Street and said, 'Righto, here's a watch. I want you to tell me what's happening in that street. You have to start when I tell you and when it comes to thirty seconds you've got to be halfway through and knowing you've got thirty seconds to finish and at the minute you've got to have finished. Not a minute and one second, a minute.' He had me doing that for quite a time, which I found very attractive for two reasons. One, that he should take the trouble to do it, and two, that he was concerned that I should learn. Ever since, it's been very useful, because if somebody says ' Will you give me thirty seconds,' I can count in my head and do it." There's footage of the exterior of the buidling dating from 1953 on the Getty Images website. The BBC continued to occupy 200 Oxford Street until late 1957 by which time any remaining staff were moved over to Bush House. The building then reverted back to retail use and was occupied by C&A for over forty years until the company closed down its UK business in 2001. In 2006 the site was redeveloped by ORMS Architectural Design on behalf of Redevco (the ultimate owners of C&A's property portfolio) to create the retail space for Urban Outfitters and Shuh and then apartments above named Orwell Studios. With that rooftop view from which those wartime broadcasts were made you can now occupy a 2-bedroomed penthouse apartment for £1.7m. The recording of his voice will be played again this September. "This is Radio 2, the Light Programme". It was a moment in radio history of which he was justly proud. He was to make something of a career out of launching radio stations - later came Radio 210, Blue Danube Radio and Vienna International Radio. 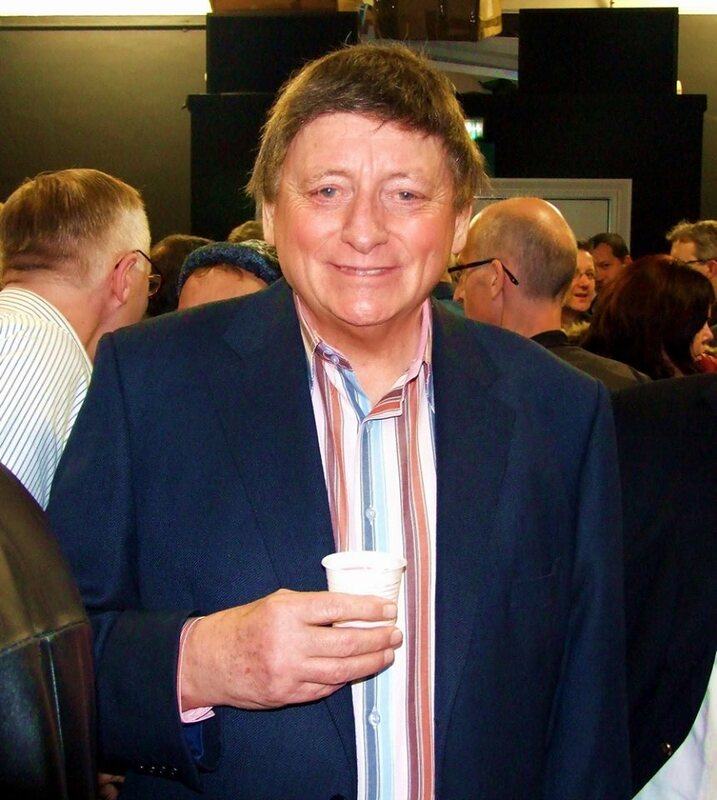 The voice is that of Paul Hollingdale whose death, at the age of 83, was announced this week. Paul was born in Brighton in 1938. I can find nothing about his early upbringing or education other than the fact that as a lad he appeared as an extra in the 1947 film release of, aptly enough, Brighton Rock. His National Service was in the RAF and he was eventually posted to RAF Wahn in Germany, fairly close to the headquarters of the British Forces Network in Cologne. He was keen to get into radio and after helping out in the gramophone library was offered the chance to produce a Latin American dance programme. Soon after he was in front of the microphone as one of the BFN's team of announcers looking after the early morning show Musical Clock. His passion was the cinema, perhaps spurred by that early dalliance with filming in Brighton, and he used to broadcast film programmes whilst with the BFN. It was in 1959 that he made his first appearance on the BBC as the host of the German leg of Two-Way Family Favourites. 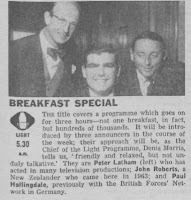 Back in the UK in 1960 Paul was looking for work when he met up with Canadian DJ Doug Stanley, who'd also appeared on BFN Cologne. Stanley had set up the grandly named Commercial Neutral Broadcasting Company Ltd - "your friendly host of the Dutch coast" - an English speaking pirate radio station based on Radio Veronica's ship the MV Borkum Rift. 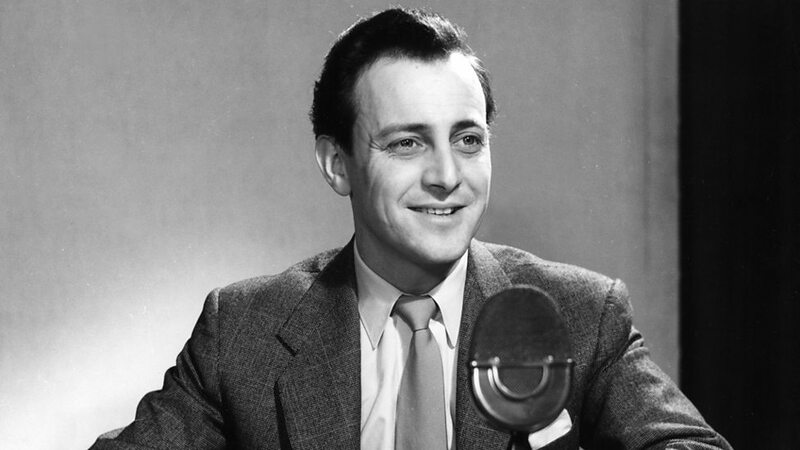 Paul, who by now has also found work in the London studios of Radio Luxembourg on the Phillips sponsored The Six O'Clock Record Show, joined CNBC from autumn 1960 and stayed there to the summer of 1961. In late 1961 Paul was back on dry land working freelance both for the BBC on shows Teenagers' Turn, Playtime and Things are Swingin' as well as appearing on Radio Luxembourg as one of the announcers out in the Grand Duchy on shows such as The Big 'O' Show sponsored by Oriole Records. At this point I'll let Paul take up the story: "I had been working for Radio Luxembourg since the early sixties, either as a London based DJ presenting sponsored shows, or living as a resident on the Grand Duchy. I was in fact there for two and a half years. At Easter in April 1964 I travelled to Amsterdam with another DJ, a friend called Don Wardell, as we had heard that Radio Caroline was being launched that weekend. Because the signal would be inaudible, we decided on Holland because it was near the coast. We heard the first broadcast with Simon Dee and I told Don, that in my opinion, this launch would change the whole history of UK Radio. During the Summer we heard the impact that Caroline was having, and I made a decision to leave 208 and return to London in September of that year. I heard that the BBC were looking for contract announcers and I applied and got a job". Having joined the Presentation team, working for Andrew Timothy, he would do the usual rounds of news bulletins, continuity announcements, concert introductions and gramophone record shows like Morning Music, Delaney's Delight, Mack is Back, Swing Into Summer, Stay Late and the first editions of Nord-Ring. Here's Paul again: "One of my first hurdles was to handle the death of Churchill which I announced with all the protocol that went with that on that Sunday morning in January 1965. Andrew Timothy told me that I would have to be de-luxembourgised and I was directed to listen to various announcers like Colin Doran, Frank Phillips and Tim Gudgin. Because of my versatility, during the next couple of years I was put to work presenting an eclectic mix of series like Music in the Peter York Manner and Mack is Back, a big band show with the then very popular Ken MacIntosh and his Orchestra broadcast from the Playhouse Theatre down by the Thames embankment. There were others like occasional programmes on the then Home Service with such groups as the Novelairs directed by Edward Rubach. I was also involved in Nord-Ring, where I presented various light music concerts travelling around Europe which were aired on the Light Programme. In between all of that, I was a newsreader on Radio Newsreel and did occasional shows for the World Service. I then began working with (producer) Doreen Davies on the show Swing Into Summer - a three hour afternoon segment. In fact I was used at every opportunity and from 1964 to the start of Radio 2 in 67 - I probably presented more shows than anyone else. The reason for this was that many of the older brigade of announcers like Frank Phillips, Alvar Liddell, John Snagge, John Webster etc. couldn't quite believe that changes were in the air and so they didn't want to involve themselves and weren't in tune with the trends in pop music at that time. Apart from that they were all coming into the final furlong of their careers at the Beeb. 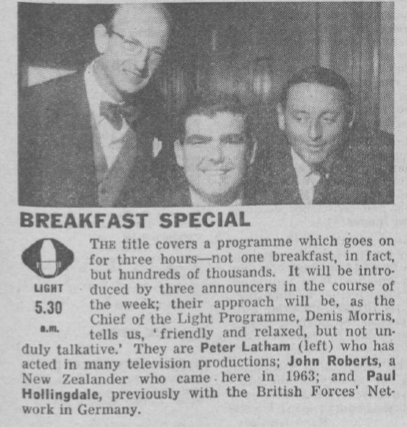 By 1965 the long running Morning Music sequence, which was un-announced except for time checks, news and weather, was in need of a change and Breakfast Special came in being. So some of the 'Light' announcers such John Roberts, Peter Latham, John Dunn and myself were given the show to present on a turnabout basis. It was then they decided to introduce a limited amount of 'needletime' into the shows - one disc every fifteen minutes. And there were inserts of vocals from groups like The Settlers, The Peter King Chorale, Lois Lane etc". In September 1967 came that famous opening announcement, Controller Robin Scott having chosen Paul for the task. If the usual Saturday morning pattern had been followed that would have fallen to Bruce Wyndham. Paul continued to appear on Radio 2's Breakfast Special, presenting his final show on Friday 2 January 1970. Remarkably an off-air recording exists of that show. "Hello and good morning everyone. This is yours truly Paul Hollingdale here for the very last time..."
No reason was given for Paul's departure but in 2012 he candidly told me what had occurred backstage and I hope that he wouldn't mind me repeating the story: "I have never mentioned this before but my departure was very curious. The then Controller of the Network, Douglas Muggeridge, didn't particularly like me on the air, despite the fact that I was very popular with the listeners. One day I was called to his office to say that I would be coming off Breakfast Special and that was it. As there was no explanation - I told him that I wouldn't mind returning to announcer duties - but he was emphatic he wanted me out of the building. I had no confrontation with the man. I hardly knew him as he was tucked away in his office most of the time together with all the other 'suits.' My departure created a lot of problems at the time as there was no-where else to go. I have to tell you that I felt a lot of anguish at the time of my leaving, as I had given every hour of my life to the station, even taking up residence In Hallam Street adjacent to Broadcasting House". In the event Paul headed back to his home town of Brighton, for a while working freelance on BBC Radio Brighton and also meeting up with local singer Johnny Wakelin whom he ended up managing for a few years. Regular radio work beckoned again when Radio 210 opened in Reading in early 1976, again Paul was the first voice on-air, or strictly speaking the first DJ, if you count Arthur Lowe's appearance as Captain Mainwaring. Paul recalled that "210 started very middle of the road. That didn't last long and a few months later we were playing Top 40 stuff." In 1979 Paul helped found and launched the English-speaking service from ORF, the Austrian state broadcaster, Blue Danube Radio. Initially he would split his time between Vienna and the UK but eventually his beloved Vienna would become his home for many years. During the 1980s and 90s he was also heard on Chiltern Radio (audio here), presented film programmes and reviews on LBC, Radio Luxembourg and Sky TV and was part of the launch line-up for Country 1035. Blue Danube Radio closed in 2000 but Paul continued to work for ORF and other companies such as Inflight Productions. In September 2007 he made a one-off return to the BBC for Radio 2's 40th anniversary to recall his role in the start of the network. (audio here) In October 2012 he launched his final radio project, an English-speaking news and music station, Vienna International Radio. Here's Paul on VIR on 14 November 2013. In recent months Paul gave an extensive interview about the Light Programme and Radio 2 for inclusion in a couple of documentaries produced by Made in Manchester that are to air on Radio 2 this autumn. 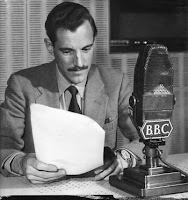 Ever the radio professional, whilst in his hospital bed he continued to record reports for Vienna International Radio. He died of cancer on the morning of 5 July. I never met Paul but from 2012 onwards we had an email correspondence about his radio career and he was always more than willing to help me with my research for the blog. On occasions I was able to provide him with copies of some of his old shows and he was grateful for being reunited with his earlier self. He once told me that "I always enjoy your gems from the past. I think most people in radio in the UK think I have retired to Eastbourne and residing in the Home for the Bewildered DJs. How wrong they are". I was saddened to hear of his death and I hope that this tribute goes some way to providing a more complete picture of the career of a broadcaster whose role in radio history is assured.